This was my first official internship and I had a lot to learn and prove. Cliff Shalua, Ad+PR coordinator, after seeing a presentation on the Halo 3 advertising campaign spoke to me about Gameathon after class. I think my passion for games was rather obvious. He explained the history of the event and asked me if I was interested in the internship. I was interested in a gaming competition. I love video games and thought I had the leadership skills to pull it together. At first I had no clue what I was doing. Like a sponge, I soaked up every bit of information on Gameathon I could find. I literally immersed myself in the event. I also planned down to the last minor detail. I made lists and went through each detail during our Gameathon weekly meetings. At times my email box would receive 25 to 50 Gameathon related emails a day. I spent between 10 and 30 hours a week on the event. This was an unpaid internship but I was determined to make this event great or die trying. When I started planning, I was working with Becca Clark and Laura Crowder. I quickly grew the team adding Russel Gonzales, Elizabeth Mitaikostas, Rachel Koontz, James Davis, Bridget Boone and many others. By the end of planning, I had built a solid team over 26 awesome and dedicated individuals. The biggest issue was that the 2008 event budget was only 3,500 dollars. We were lucky to get RentACenter to step up and sponsor the event at the last minute. In any case, 3,500 is hardly enough for any substantial Advertising efforts. Nevertheless, my team used Web 2.0 social technologies like Facebook, MySpace and created an online Blog. We also used cost effective ad mediums like the WKU College Heights Herald, Student Affairs page and posters that literally covered every building on WKU’s campus and community. In the end, through all of my team’s promotional efforts, we had 220+ registered gamers rolling into game day. That is a 40% increase over 2007 where there was a budget of 2,000 more! Featured below is one of our viral videos we created and distriubed on the website and on YouTube.com. I also expanded the event. I invisitioned Mass Media and Technology Hall maximizing Gameathon by using the 50 foot Auditorium screen and expanding into more game rooms. We played 4 rooms of 25+ for Halo 3 and Call of Duty 4. Over 100 gamers signed up for both Halo 3 and COD4! We had 8 teams of Rock Band, 48 people set to play Guitar Hero 3, and 32 in Madden 2008. All in all, an incredible turn out considering the promo budget and regional size. Players competed for a 26 inch LCD TV, surround sound system, 50 dollar Game Stop gift cards, and a number of other small “swag” prizes. We gave special WKU Gameathon t-shirts away and sold them at the event for 12 dollars. They are also featured in the pictures below. On April 5th, my team was set up and ready for the opening at 10 a.m. Although we did have a power outage and a hard time with the bracket system, game day was a blast. Everyone on my team had a really good time. I know that I did my best and to this day have no regrets. I am now on the Gameathon board of directors. I have helped David Gray, the 2009 event manager, get the event going and offered suggestions to again make it bigger and more awesome. Most all the 2008 team returned and Gameathon 2009 is set to launch this coming weekend! I am so excited. Click here to read the pre-event Daily New Gameathon article. Introduction: GH Metallica builds on the same proven Guitar Hero formula. The game features many of the most popular Metallica songs including “Battery”, “One”, “Blood and Thunder,” “Enter Sandman”, “Master of Puppets”, “Fuel”, and “The Memory Remains”. In addition, songs from System of a Down (“Toxicity”), Alice in Chains (“No Excuses”), Lynyrd Skynyrd (“Tuesday’s Gone”), Slayer (“War Ensemble”) and a few select others. The band members of Metallica selected many of these additional songs because of personal preference. 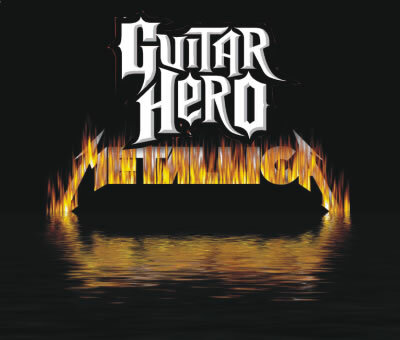 Click here to see the full set song list for Guitar Hero Metallica, from Wikipedia. The goal still remains the same, get as many points as you can through “star power” and note streaks. Always aim for the 5 star maximum score. Last night, I scored a 97% on expert guitar and only managed to receive a four star. Thus, achieving a five star is not without some added challenge. developer Alan Flores has stated that the difficulty of the game is much harder than previous games and is designed to challenge the hard-core player,” according to a source from WikiPedia. 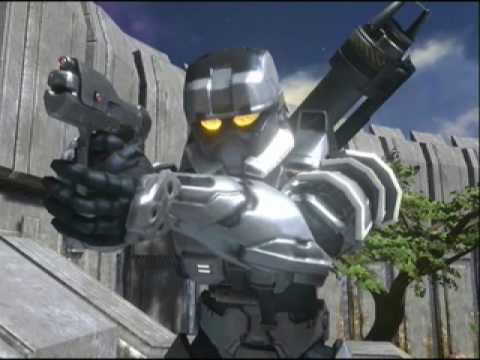 Online game play is available for both the Xbox 360 versions and PS3. I have a chance to get on Xbox live last night and Guitar Hero Metallica online play works very well. I even managed to win a few rounds. Although, I discovered many individuals were playing on easy or medium and achieving a higher score through note steaks. I say, go expert or go home! Fun Factor: 8.5 out of 10 I found myself really enjoying Guitar Hero Metallica. The Metallica song list is rather extensive and the additional songs are some of my personal favorites. If you are a fan of Guitar Hero then this addition will provide you with hours of enjoyment. Although, you will have to enjoy Metallica’s music. I will say that this game rates higher (for me) in fun than Guitar Hero Aerosmith. Graphics: I play on an Xbox 360 with an HDMI cord going to a 40 inch LG 1080p TV. The graphics look great and unlike Guitar Hero Aerosmith, the background band graphics actually resemble the real band. I was really impressed with the facial detail and general movement of each band member. You can tell that Neversoft spent time focusing on the details. Final Thoughts: I recommend this game to all fans of the GH series and Metallica. The game does a solid job of capturing the essence of Metallica and really provides a nice challenge. I have played every Guitar Hero game from beginning to end, and this ranks as my second favorite addition behind GH 2. So, go rent it and give it a shot. More Information at Neversoft’s Main Web Page, click here. The time is 9:30 p.m and I just had the opportunity to enjoy President Obama’s State of the Union Address. Personally, I felt the speech was on target, eloquent, powerful, and even incorporated humor. Obama’s speech was relevant to the current state of affairs and he covered every issue that is plaguing this great nation. He spoke on the state of the economy, the increasing deficit, heath care and education reform, terrorism/war, and even touched on social security, medicare, and that this new government will act responsibly and be held accountable. Click here to view a 9 minute version of the full speech. Obama mentioned http://www.recovery.gov/ This site will hold accountable all the money will be spent in the next four years. In fact, in regards to money, Obama’s stimulus package has already gone into effect. He talked about how his package has already given 7 million students the opportunity to attend college, tax cuts that will take affect on April 1st, and the checks are already on their way in regards to the stimulus package! I for one am grateful that Obama’s State of the Union Address gave me a sense of hope. Because before all, it is our job as Americans to work together and rise above the challenges we face. I believe that under Obama we can succeed, and it feels great to have a sense of hope finally. *This post was recovered and re-posted after a server crash. The original date was February 24th, 2009.